When you click a “Register” button on my website, you will be transfered to PayPal, where you will see the following page. 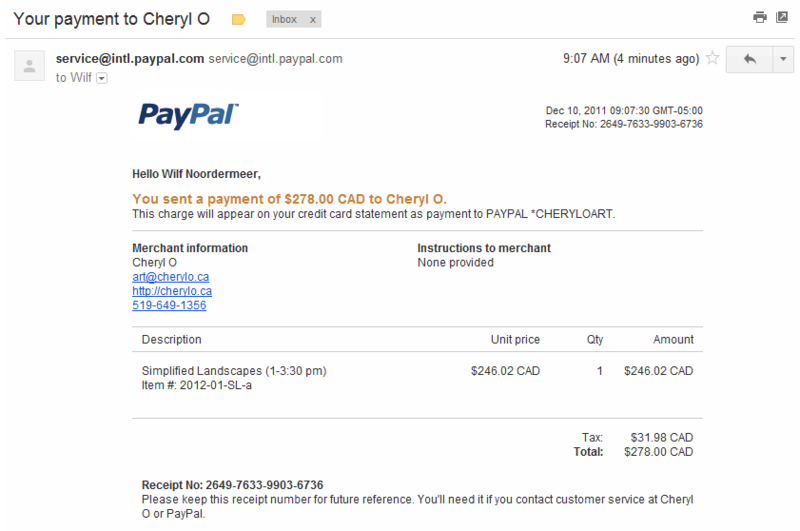 Notice the CherylO logo and the statement: PayPal securely processes payments for Cheryl O. Review Your order summary to confirm the course name, time and the total price. You can register multiple people by increasing the Quantity and clicking the blue Update link. 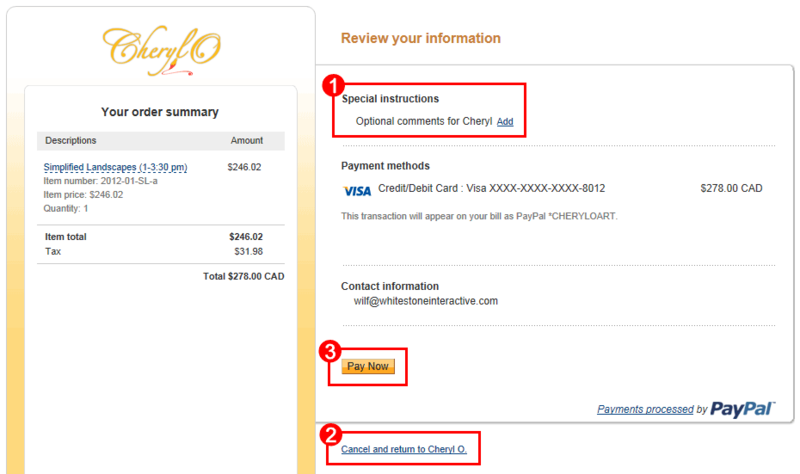 If you do not want to proceed, simply click the blue link that says Cancel and return to Cheryl O. If you already have a PayPal account, log in and proceed as you normally do. Otherwise, click the blue link that says Don’t have a PayPal account? Clicking Don’t have a PayPal account? expands that section. Provide your debit or credit card details, similar to the screen-shot below. The Review your information page is where you definitively confirm your payment. 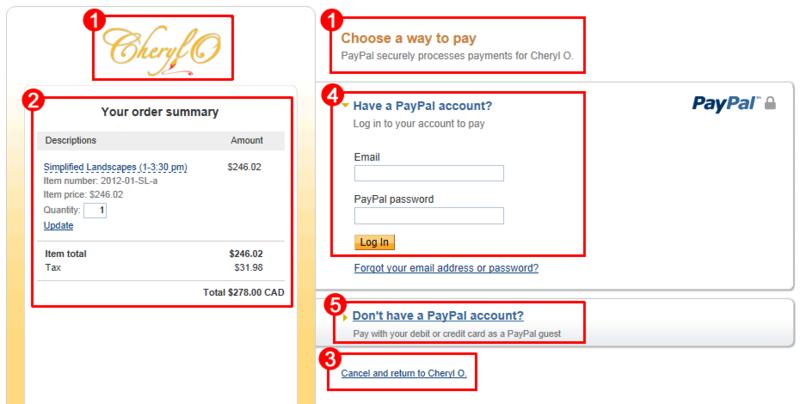 If you do not want to proceed, click the blue link that says Cancel and return to Cheryl O. Otherwise, click the Pay Now button. 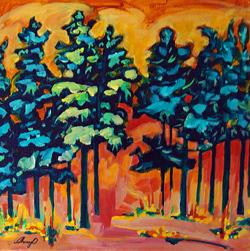 Then click the blue Return to Cheryl O link. Having clicked the Return to Cheryl O link, you will be routed back to the Thank You! 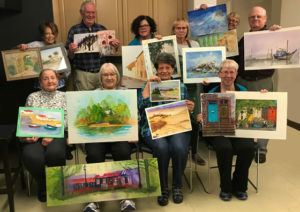 page on my website. 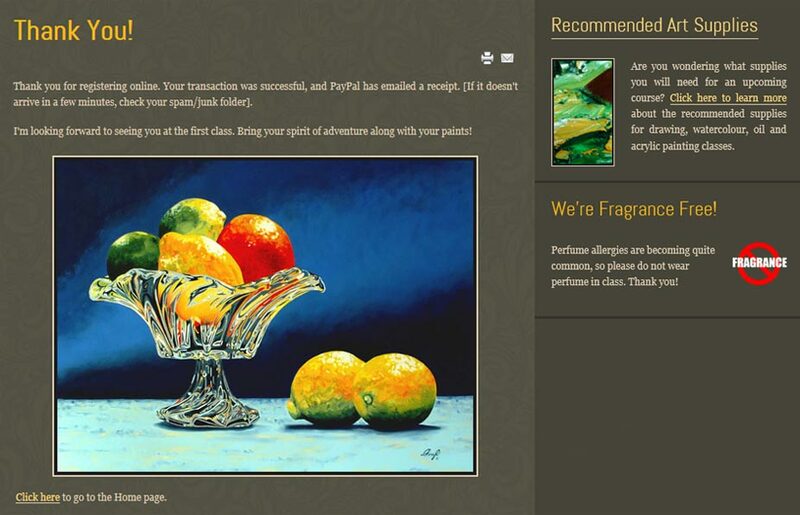 You will also find an email in your inbox, titled Your payment to Cheryl O. If it is not there in a few minutes, check your Spam or junk mail folder! When you open the email, you will find a printable receipt with all details of your registration and payment. 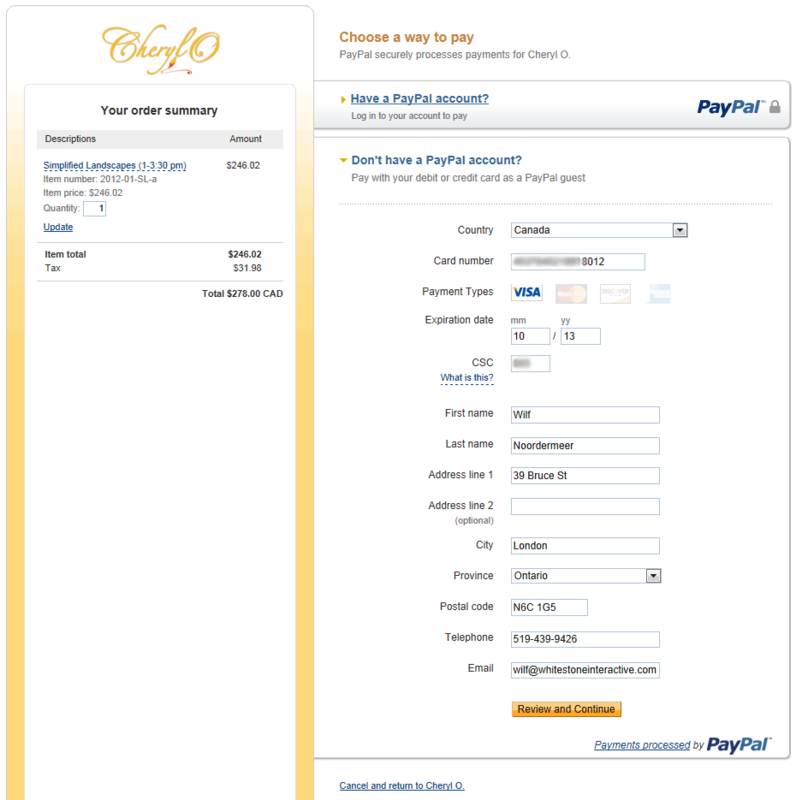 PayPal may intervene and encourage you to set up a PayPal account. This would certainly simplify payment in the future, but it is completely optional. Feel free to decline. If anything goes wrong, contact me. If necessary, I can issue a PayPal refund. If you’re simply not comfortable using PayPal, I’m happy to take your payment by cheque!